The heat wave conditions that have swept the state are also currently being experienced by our koalas, putting them under great stress. The main reason for their stress is that there is very little moisture in the leaves that they eat and rely on as this is their only food source. 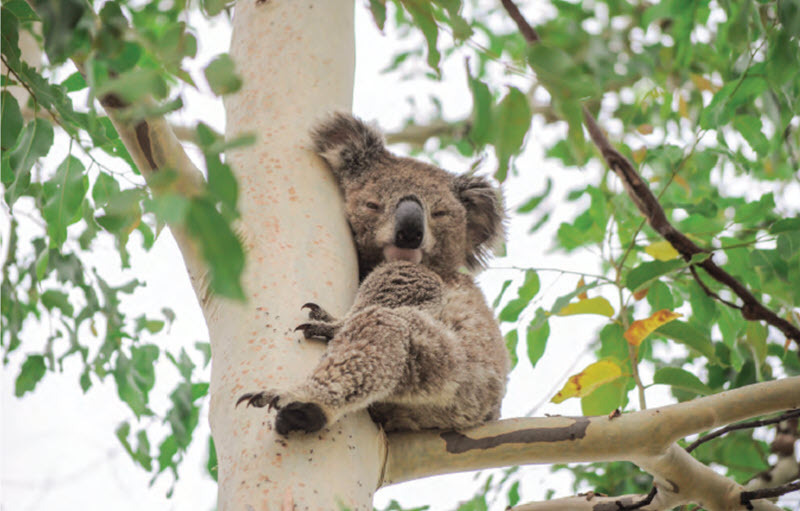 When the temperature reaches thirty nine or forty degrees, the trees shed moisture from their leaves and consequently the koala is then in need of another source of water. Photo by John Hodge.A koala at Warialda. If you see any koalas around town, please put out water for them. They will even go to the dogs dish to drink, and in some unfortunate cases have been killed by that dog. So if there are any koala sightings, please place dishes away from the pets’ water dish. Another issue koalas are facing is that there is only a small amount of moisture in the leaves; therefore koalas have difficulty in digesting the leaves. This causes them to be more stressed and in times when koalas are stressed, they move down the tree. Depending on the amount of stress, determines their location on a tree. If they are more stressed, they will be further down the tree. If you see a koala sitting at the tree base, it is very stressed and needs immediate assistance. If you can, give it water as well as call the local shire ranger or WIRES organisation member so it can be rehomed. Even if it rains, it can take weeks for the moisture to reach the tree tops. Moisture only travels at ten feet at a time up a tree and this distance can take up to seven or eight days. If a tree has a height of sixty feet, it will take six weeks for it to regenerate its moisture levels. Thus, even if it rains the struggle will still continue for koalas until the moisture in properly regained in the leaves.